On Tour in 2019: Nick Mason Plays Early Pink Floyd! As announced on — appropriately enough — October 31, Pink Floyd drummer Nick Mason will bring his new band Saucerful of Secrets (or, in an example of Mason’s typically dry wit, “Not The Australian Roger Waters”) to North America in the spring of 2019. The tour will mark Mason’s first live shows in the Western Hemisphere since Floyd’s Division Bell extravanganza prowled the continent’s football stadiums back in 1994. Debuting with four small London gigs this past May, Saucerful of Secrets completed a European theater tour in September. The North American tour will be similar in scope, with Mason and his cohorts (Blockheads guitarist Lee Harris, Spandau Ballet guitarist/vocalist Gary Kemp, post-Roger Waters Floyd bassist Guy Pratt and Transit Kings keyboardist Dom Beken) bringing their show to 2500-3500 seat venues. Presales for the first block of shows have already begun, with public sales starting on Monday, November 5. Tour dates are listed below; more info is available at Ticketmaster. I was 7 going on 8 in 1969. But my brother was ten years older — and Detroit was a prime location to explore rock as it turned psychedelic, then progressive, still with plenty of punk attitude. Our cousin from Lansing was about the same age as my brother — so they did a fair amount of concertgoing together. I’m sending along a copy of the program from the festival I attended in the south of England summer of 1969. I thought you might it interesting. I’d seen both The Who and The Nice at the Grande Ballroom in the spring before. The Who played the entire Tommy opera both times. The Nice as I remember had some kind of revolving organ at the Grande. At the Plumpton fest they closed the show on Sunday backed by a large orchestra. At the final song the stage opened and a regiment of bagpipers marched off the stage and into the crowd. Those were heady times. There’s also a copy of the Isle of Wight festival flier which I missed as it was the weekend which we were heading home. Such fond memories. I’d like to hear more about your music blogging/reviews. P.S. We didn’t arrive at the fest until Saturday so we missed all the Friday acts. Booo! Fortunately, the sounds of the Plumpton Festival aren’t completely lost in the mists of time; I plan to direct my cousin to Soft Machine’s and Pink Floyd’s sets online, and send him a copy of King Crimson’s set. On Friday, October 20, hundreds of dedicated proggers converged on Chicago from around the country — and even from across the globe. 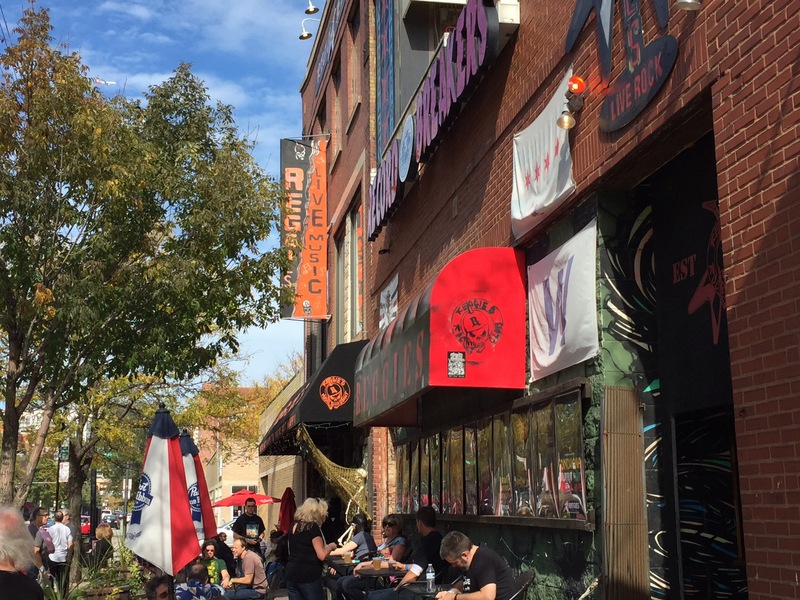 The location: Reggie’s Rock Club & Music Joint on the Near South Side, only two blocks away from the former Chess Records, the birthplace of great discs by Muddy Waters, Chuck Berry, The Rolling Stones and countless others. Reggie’s has two main rooms, both dedicated to Progtoberfest this weekend. The Rock Club is designed for concerts, with a raised stage, a main floor, an upper level mezzanine —and a wire fence decor motif throughout. The Music Joint has a tinier stage tucked into the back of a narrow bar and grill. This weekend, merch tables were crammed into every inch remaining on the main floor, and patrons less interested in the music (or needing a break from the density of the sound) took advantage of Friday and Saturday’s warm weather to eat and drink at sidewalk tables. An upstairs space that held a record store until recently was turned into the VIP/Meet and Greet lounge for the duration. Due to the usual complications of traveling to and around Chicago as the weekend starts, I got to my spot in the Rock Club just as Schooltree was taking the stage. With only an hour on the schedule, they powered through highlights of their Heterotopia album, condensing the narrative to zoom in on its main character Suzi. The set left no doubt that Lainey Schooltree is a major talent; her songwriting chops, keyboard skills and vocal versatility all came through loud and clear, grabbing and holding the audience’s attention. The rest of the band bopped along brilliantly too, with the ebullient energy of Peter Danilchuk on organ and synth leading the way. The crowd for Schooltree was solid, but hometown heroes District 97 were the first group to pack the place, filling both seats and standing room on the main floor. The band took no prisoners, blasting right into riff-heavy highlights from their three albums that showed off every player’s monster chops. Soaring above the din, Leslie Hunt pulled in the crowd with her astonishing vocal power and range. 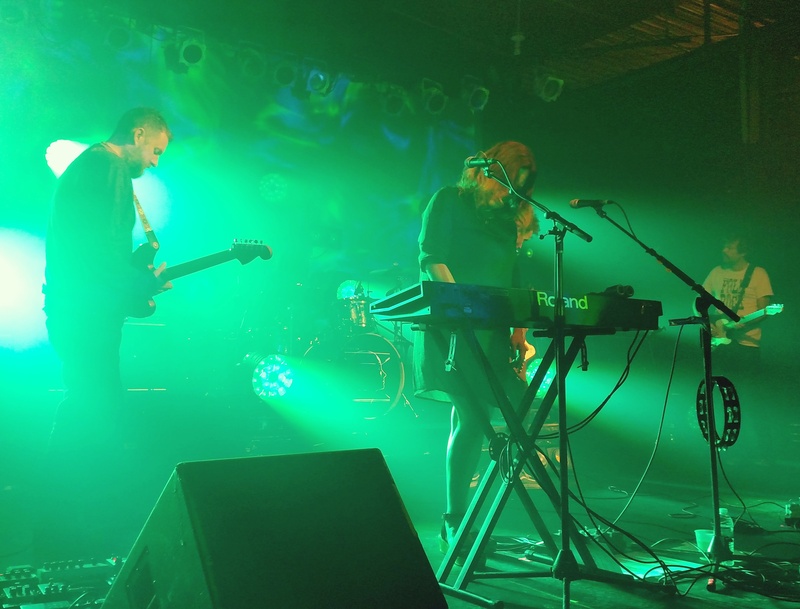 New songs were mixed in that sent the audience head-banging and prog-pogoing with abandon. When it comes to Pink Floyd, I usually prefer the atmospheric to the polemic: i.e. “Echoes,” Wish You Were Here, and even A Momentary Lapse of Reason to Animals, The Wall and The Final Cut. True, Roger Waters’ growing desire to beat the listener over the head with his irascible critiques of modern life brought the Floyd to new heights of popularity — but they also helped poison relationships with his collaborators and blow up the band, leading to a solo career with much lower impact. Until, that is, he pulled out the vintage Floyd warhorses and started touring them again, to deserved acclaim. For me, Is This the Life We Really Want? strikes a welcome new balance between the prototypical Floyd sound and Waters’ ongoing preoccupations. It’s the most listenable and perhaps the most effective of his solo albums, harking back to Dark Side of the Moon in its precision and its muted (but undampened) fury. Nigel Godrich’s lean, colorful production helps immensely here, keeping the musical tension on the boil throughout. Ironically, it also helps that Waters’ voice has aged; no longer able to bellow with his previous venom, he insinuates and rasps instead. Especially when his singing is paired with acoustic guitar or piano, you can more easily hear the blunt, direct expressiveness he admires in his heroes — early Dylan, Neil Young, John Lennon circa Plastic Ono Band and Imagine. Funnily, lowering the volume of his complaints makes them more compelling. In sum, Is This The Life We Really Want? comes from a Roger Waters who seems more vulnerable and less inclined to condemn humanity wholesale — but not soft by any means. After 25 years without an album of new rock material, it’s good to know that there’s life in the old boy yet. 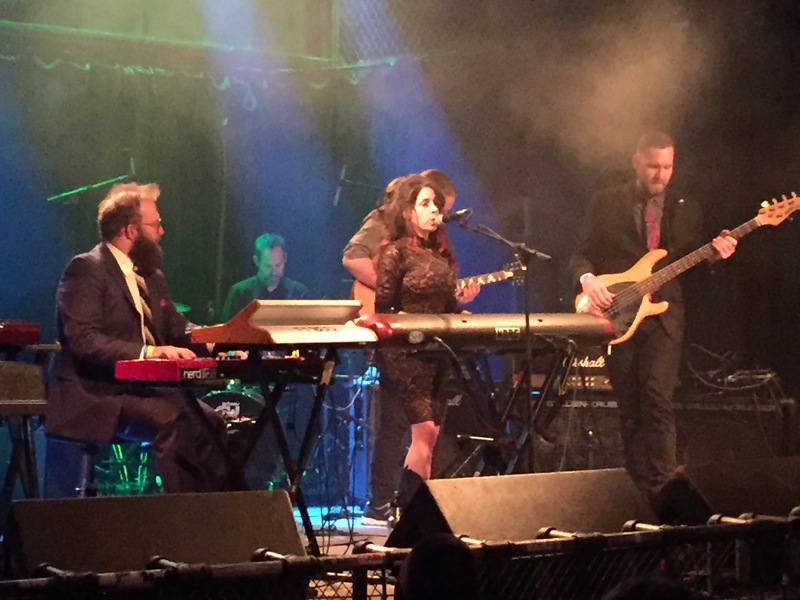 Founding members Brandon Smith (drums) and Lisa Bella Donna (keys, guitar, voices) are joined with new members Michael Sliclen (bass) and John Finley (guitars) in the Columbus, Ohio band: Eye. 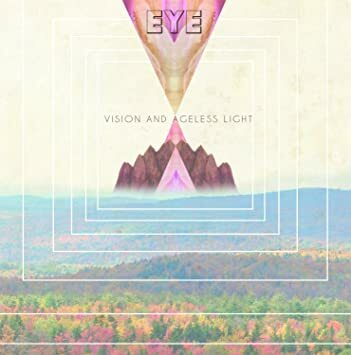 Their November 2016 five track album, “Vision and Ageless Light,” is a Laser’s Edge release which is also available at Amazon.com. A droning electronic synth with some tinkling bell noises starts of the first 40 seconds of the opening track ‘Book of The Dead’ (3:34) until joined by some synth strings. The tune sort of meanders around on a two to four note theme that is somber and quirky…until at the 2-minute mark there’s a loud KING CRIMSON-ish crescendo of drums and more synths. This is followed by some nice runs of analogue sounding effects that made me think of Klaus Schulze and “Timewind.” This cool opening song ends with some bird noises. The dueling riffage between the organ and axe at the end of track 2, ‘Kill the Slavemaster’ (6:04) caps off a rollicking and galloping “desert” rocker that is loaded with stoner vocals, synth horns and a section with enough chimes and keys to verge into Jazz fusion. This is a beautiful example of “throwback” (i.e. retro) psych/sludge that brings to mind newer bands such as Purson, Orchid, Kadaver, or Uncle Acid. There is a kinship between this type of protégé of Sabbath and harder prog. ‘Searching’ (5:29) with its hard-rock opening continues the Black Sabbath vibe (minus Iommi) with its chugging and relentless guitar & bass propelling it along in a way that made me think of an “amped up” Steppenwolf. The song ends with a few seconds of outer space beeps and bleeps effects noises. Though the first four tracks might have a dearth of some of the classic components many proggers look for in their music, the final track with its epic length of 27 minutes should win Eye some bona fides points. ‘As Sure as the Sun’ (27:11) starts with a brief soft acoustic guitar with a babbling brook of water that almost brings to mind Rush and 2112 (you know the section). This bubbly and dreamy opening is joined at 2:45 with some soundtrack “cue” music heavily topped with mellotron and synths. The whole album is infused with tasty shredding by John Finley, and he really shines on this closing monster of a track. With the changes in tempo and the mixture of vocals, the song images early Nektar and early King Crimson before it shape-shifts off to honor some more of the bands’ 70s heroes. For what it’s worth I heard what made me think of Robin Armstrong’s Cosmograf at 10:30.